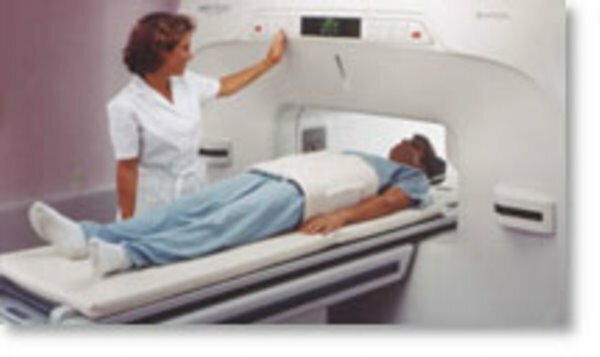 MRI uses strong magnetic fields to align spinning atomic nuclei (usually hydrogen protons) within body tissues, then uses a radio signal to disturb the axis of rotation of these nuclei, and observes the radio frequency signal generated as the nuclei return to their baseline states. 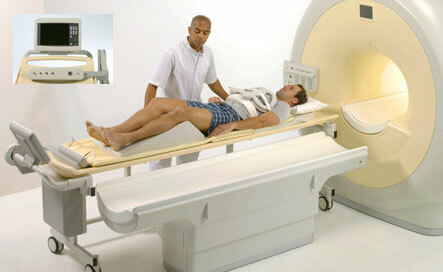 MRI scans give the best soft tissue contrast of all the imaging modalities. 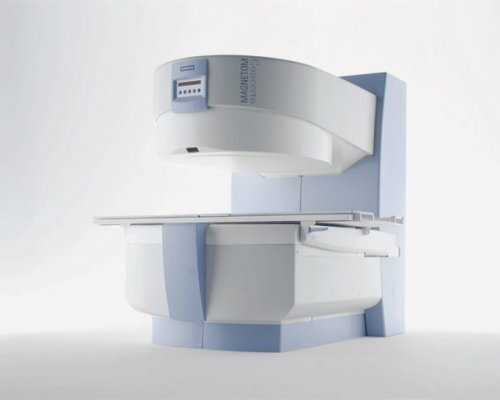 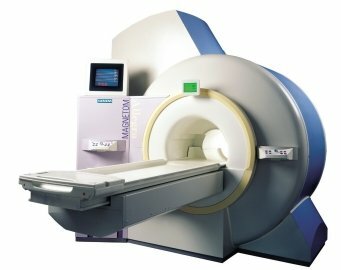 With advances in scanning speed and spatial resolution, and improvements in computer 3D algorithms and hardware, MRI has great potential for development in the next few years. 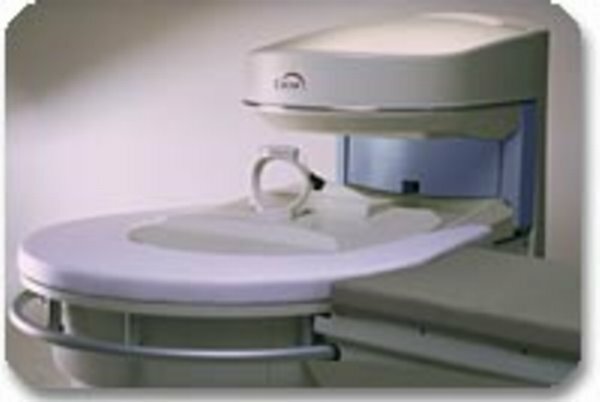 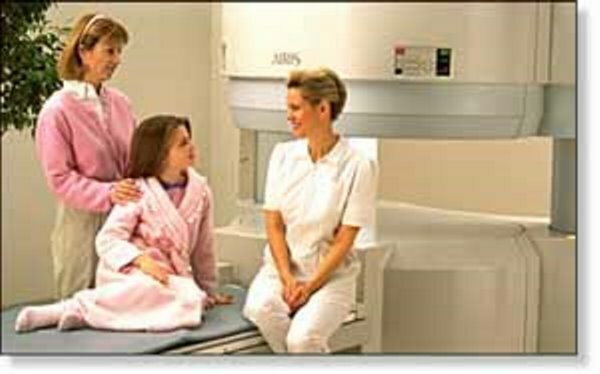 One disadvantage is that the patient has to hold still for long periods of time in a noisy, cramped space while the imaging is performed. 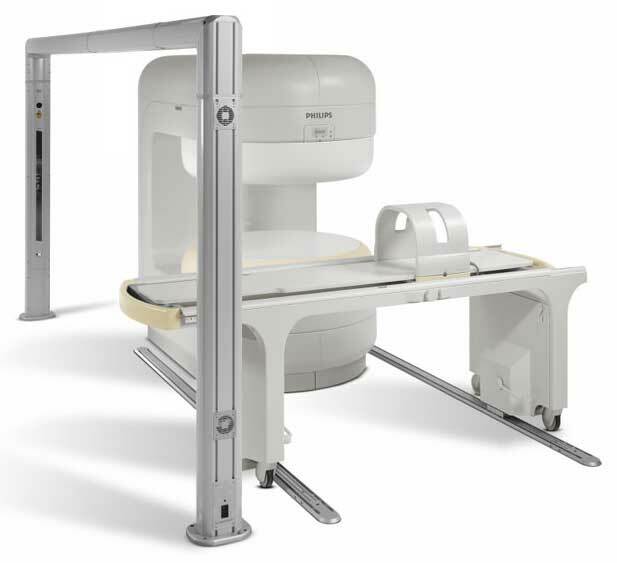 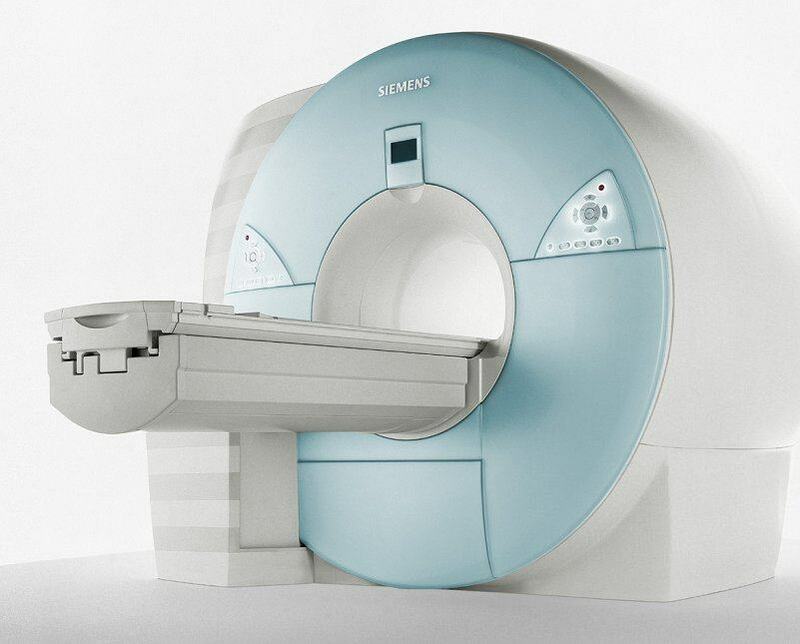 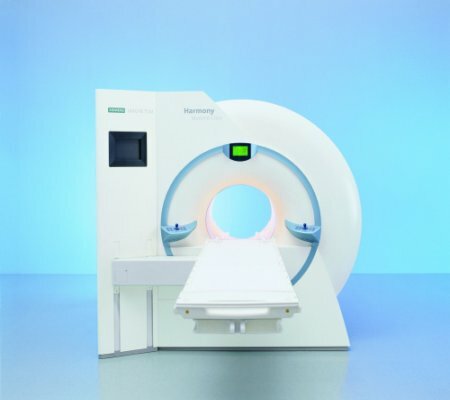 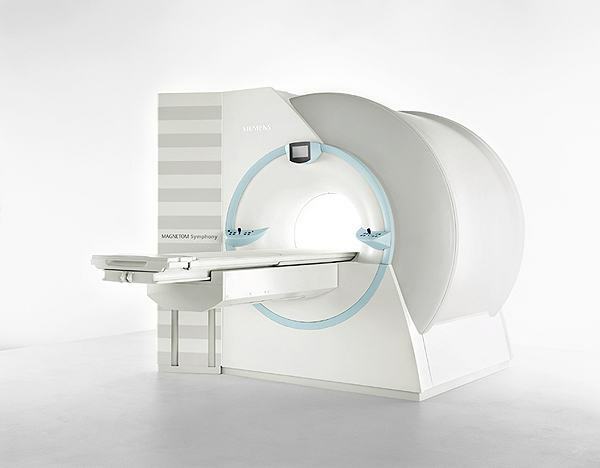 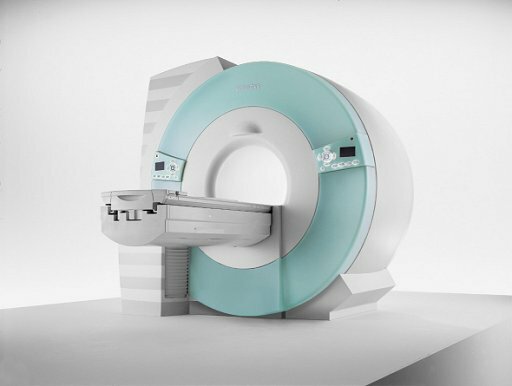 Recent improvements in magnet design like wider, shorter magnet bores and more open magnet designs, have brought some relief for claustrophobic patients. 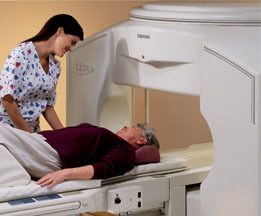 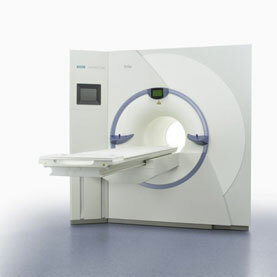 MRI has great benefit in imaging the brain, spine, and musculoskeletal system. 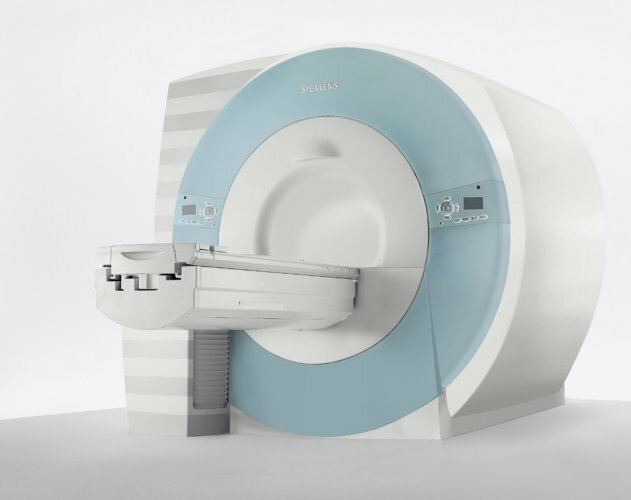 The modality can be contraindicated for patients with pacemakers, certain types of cerebral aneurysmal clips or metallic hardware due to the strong magnetic fields. 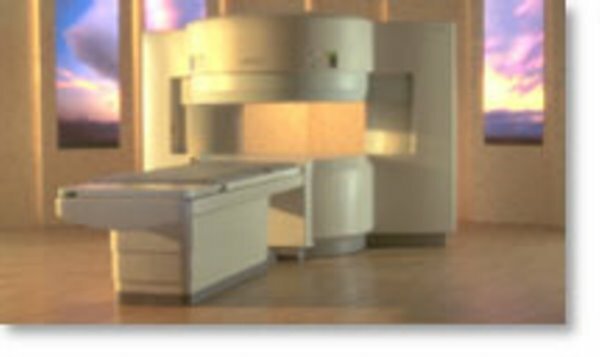 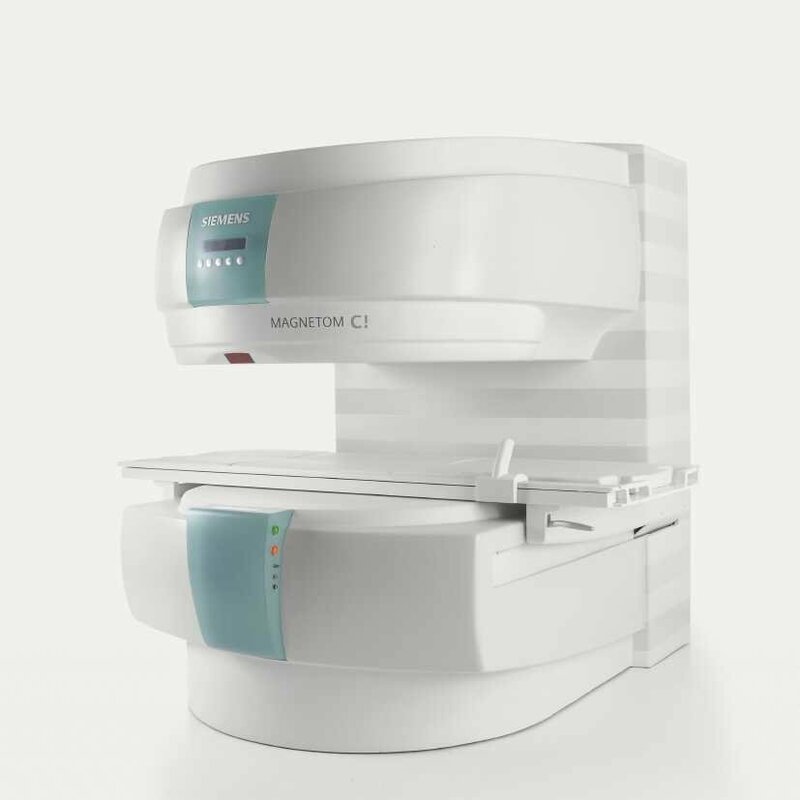 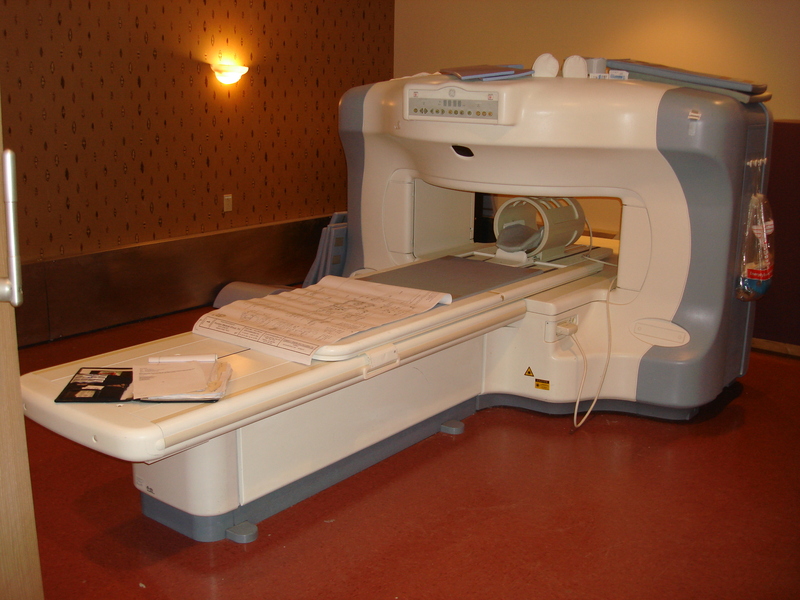 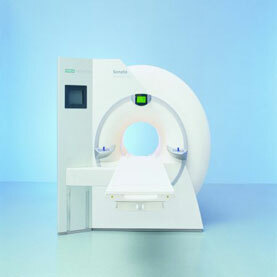 Areas of potential advancement include functional imaging, cardiovascular MRI, as well as MR image guided therapy. Extremity MRI . 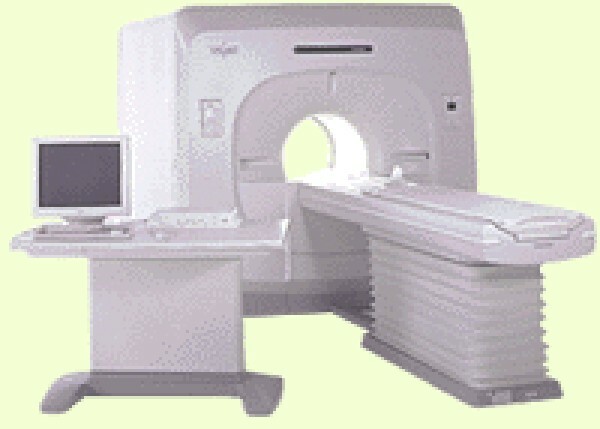 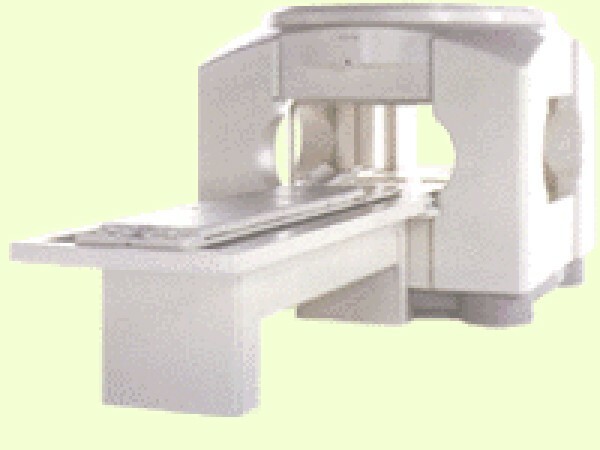 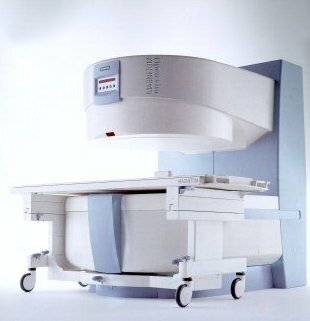 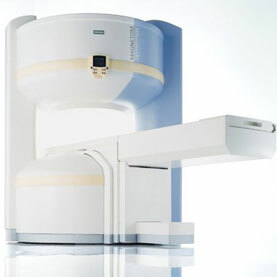 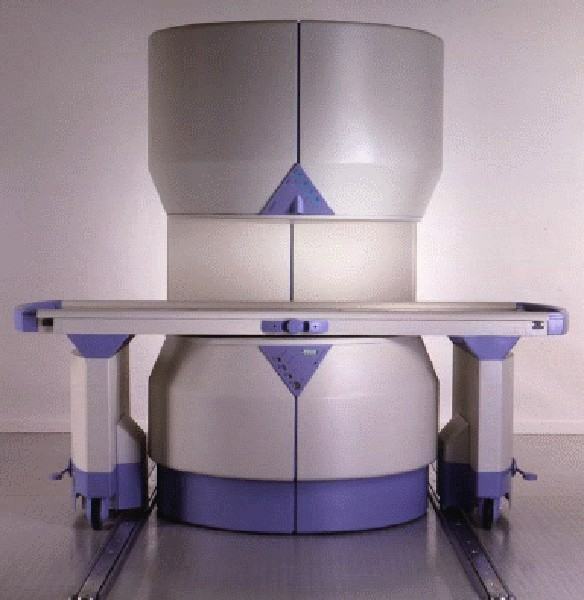 . .
MRI Equipment . . .